PYI Inc. has a full Max-Prop reconditioning service that is capable of repairing and reconditioning your Max-Prop. We can bring it back to life, whether normal wear and tear, a blade bent in half, or damage from corrosion, most damage can be repaired. If your Max-Prop is out of balance it could be due to wear or a galvanic corrosion problem, causing the blades to wear thin. We can solve this, our Max-Prop reconditioning technician can either spot weld or re-sheet the entire blade to bring it back to tolerance and balance. 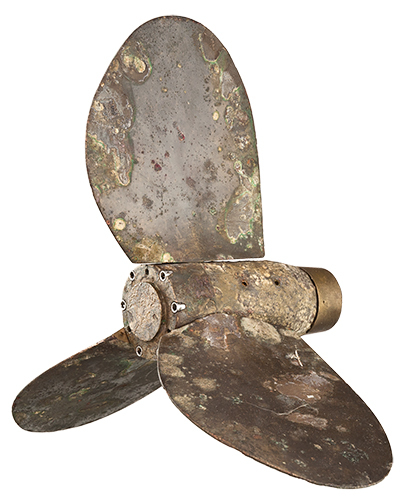 A worn propeller may also have fore and aft or rotational play in the blades that exceeds factory standards. This is caused by wear to the spacer or central conegear. To solve these problems a new spacer or congear will be machined to fit your propeller and tighten up the play. Another point of wear is the central hub. This is typically caused from lack of maintenance or excessive use and abuse, this can also cause vibrations. If worn significantly we can replace the hub to tighten up the propeller. The last step in the Max-Prop reconditioning process is to balance and polish the prop. 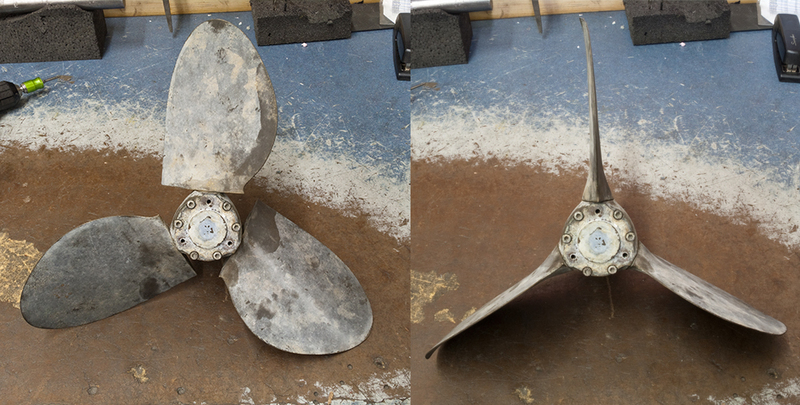 Your reconditioned propeller will look like new at a much lower cost. How To Send In Your Propeller? Download and print out the Max-Prop Reconditioning Form. Fill out the form and be sure to send that in with your propeller. Put attention to "MP Service" on the shipping label when shipping your propeller. Please be sure to send us the entire propeller, including the hub from the shaft so we can get started as soon as the propeller arrives. Each propeller requires something different to repair and recondition, so it's impossible to establish a standardized cost estimate. Once received in our facility we will evaluate the propeller and provide a cost estimate for your approval, before any work is completed. 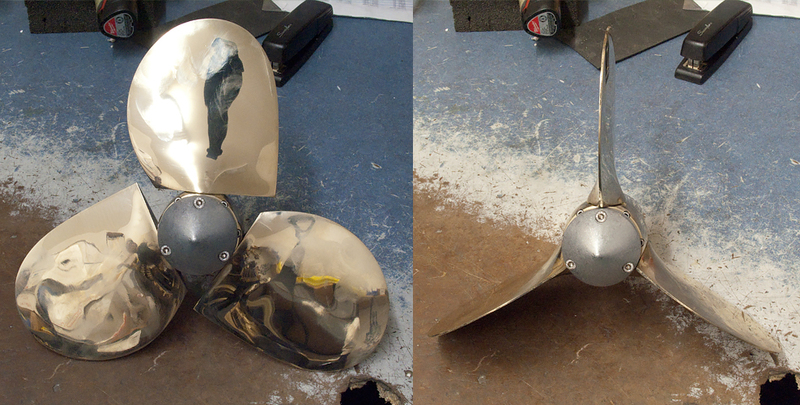 Here's an example of a damaged three blade Max-Prop prior to any work done to it. Notice the bent blades. Here's the same three blade Max-Prop after it's been completely reconditioned. It's as good as new! Note that if your blades are pitted they have to be resurfaced or replaced to look new again. Otherwise pitting will remain. Please download and print out this Max-Prop Reconditioning Form. Fill out as much as you can and send it in with your propeller.